Panel 1 shows a drawing of a woman seated on a comfortable chair, holding a phone to her ear. 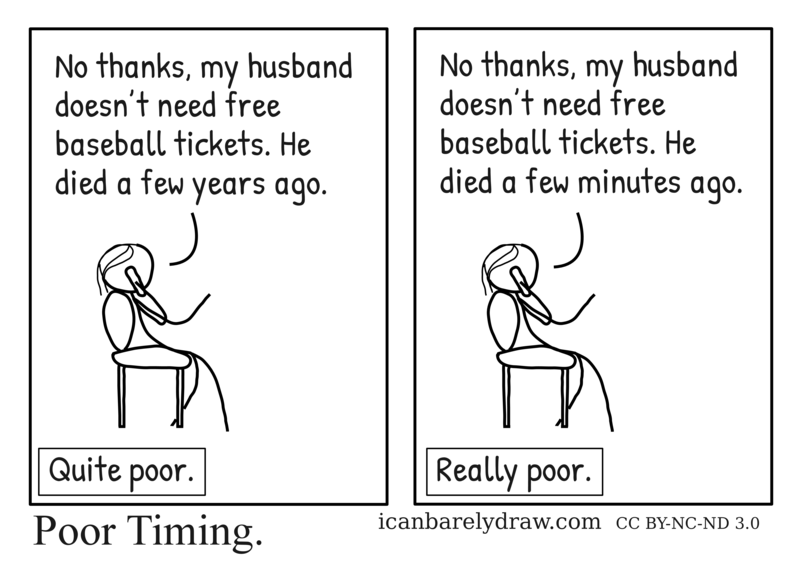 Woman: No thanks, my husband doesn’t need free baseball tickets. He died a few years ago. Panel 2 shows an identical drawing. 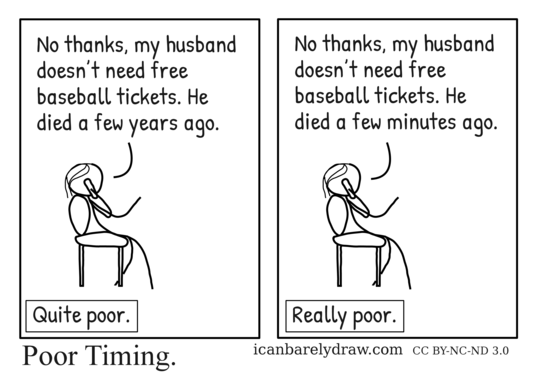 Woman: No thanks, my husband doesn’t need free baseball tickets. He died a few minutes ago.